Shelly, is the commitment fairy. She is always ready and does not leave things undone. Shelly is a fairy who always accompanies Grandpa and takes care of him. Camila is the next, a naughty and lively fairy, who is happy climbing the trees to collect her own fruit, but she always shares them with everybody near grandpa. Pippi is the cooperative fairy, a little fairy who makes every effort to leave everything perfectly in place before flying away. 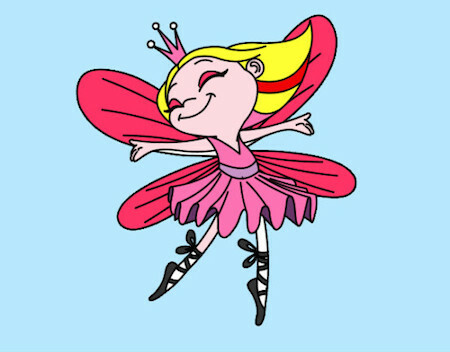 And the youngest fairy is called Carol, a fairy full of love and tenderness who represents the value of friendship. She appreciates all the other fairies´company and grandpa´s. She always hugs them to show her affection. When the colourful fairies arrived little by little into grandpa´s life, he grew so fond of them, and he realized that they were also attracted to him as he gave them values that each of them developed to a greater extent. Nowadays, they wait for each other in the vegetable garden to live together and enjoy sowing, picking, walking, talking and learning more from grandpa´s experience.